Private college in Southeast Portlnd is also slashing tuition and fees to better serve students. Warner Pacific College, located on the southern slope of Mount Tabor, is changing its name and lowering its tuition. "Beginning last fall, we started the process of becoming an accredited university," says President Andrea P. Cook, who has been with the school for 13 years. "The name 'Warner Pacific University' better encompasses the scope of the programs we now offer, including master's degree programs." The college was established in 1937 as Pacific Bible College, in Spokane, Washington. It was founded by the Church of God of Anderson, Indiana, which was formed in 1881 by Daniel Sidney Warner. The school moved to Oregon three years later. Initially, it occupied a 40-room house at the end of Southeast 68th Avenue north of Division Street, but the campus expanded gradually over the decades. "The name change also clarifies the kind of institution we are," Cook says. "With about 35 percent of our students being Latino, using the term 'college' — or 'colegio' in Spanish — indicates a school that offers secondary education, like extended high school; whereas 'universidad' clearly indicates an institution of higher learning." Although the name change was approved by the Northwest Commission on Colleges and Universities a few months ago, the school has been in the process of changing its name. While Warner Pacific attracts students from around the world, Cook says that it's "a very local" college, with 75 percent of its students coming from the greater Portland area. "Because of this local orientation, we've focused on preparing students for the jobs and for their futures in this location, right here in the Pacific Northwest," she says. "It takes awhile to transition everything. ... We will continue to have the college name until we get everything transitioned over the next couple of months." It will take a few months to change the name on everything from brochures to letterheads — and on the sign along Southeast Division Street at the campus, which is a short distance east of Franklin High School. Cook says she "feels great" about the change. "It's also great from the standpoint of the work that we're doing to serve diverse students in our community — 63 percent of our students are from racially and ethnically diverse backgrounds, and 57 percent of our students are the very first person in their family ever to go to college," Cook says. "We're providing an education for students who have often had no opportunity to attend college in the past, and filling that need in some very significant ways." Tuition and fees for the 2017-18 academic year are $24,500. 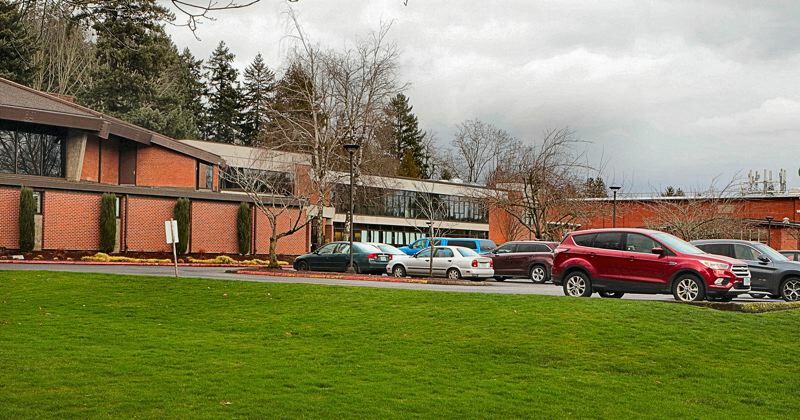 Beginning in the coming fall semester, tuition and fees will be cut to $18,660, making Warner Pacific the most affordable private college or university in Oregon, says Dale Seipp Jr., the school's vice president for enrollment and marketing. "When considering how we could better serve the students from lower socioeconomic backgrounds, we believed that removing some of the 'sticker price barrier' of attending college was very important," Seipp says. While most of the school's revenue comes from students' tuition and fees, Warner's affiliated church also provides some financial support to the university's operation. "We do not require students to sign any testaments of faith here," Seipp says. "Warner Pacific welcomes students from a wide variety of backgrounds and faith experiences. We only ask that our students be open, exploring and understanding." In addition to its many other programs, this year Warner Pacific introduced what it calls "practical focus" liberal arts programs — including medical lab science, nursing, digital media and communications, criminal justice, sports medicine, population health and gerontology.